Hiero Day has become very expensive to produce and has relied on public contributions. In order to avoid overcrowding and ensure a safe environment, Hieroglyphics has initiated an entrance fee of $19.93. 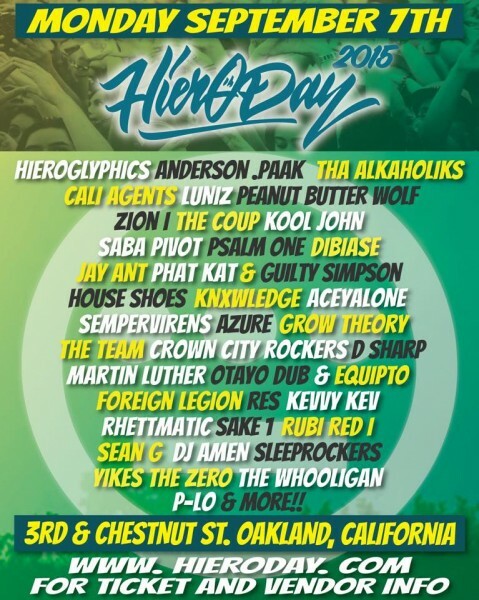 Hiero Day Entrance will still be free for youth members of local non profit organizations like Youth UpRising, Ella Baker Center for Human Rights, EYODC, Boy Scouts, Girls Club etc. You must present membership ID for free entry. 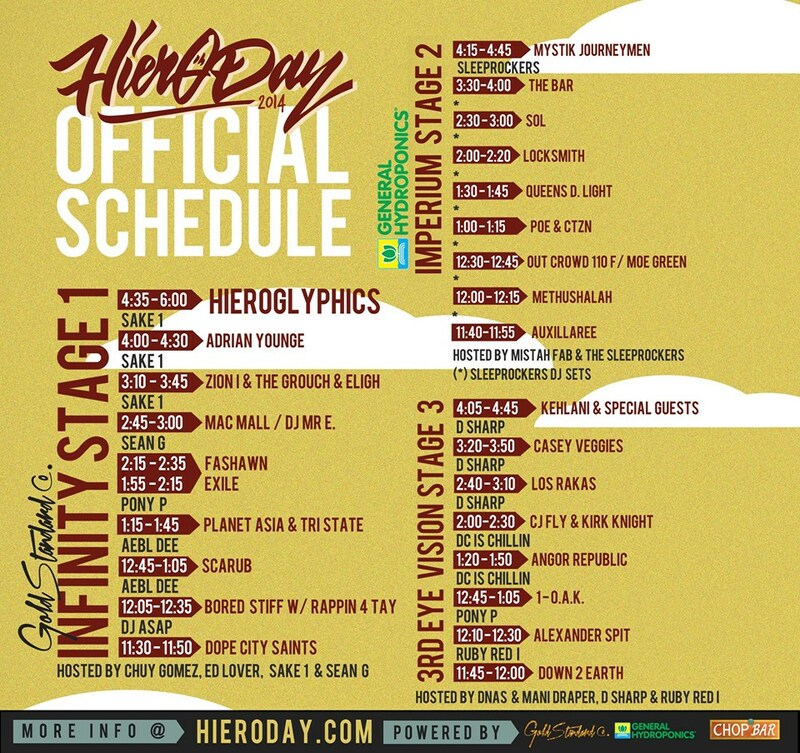 At the end of the event, Hiero will buy one ticket back from a fan for $1000. 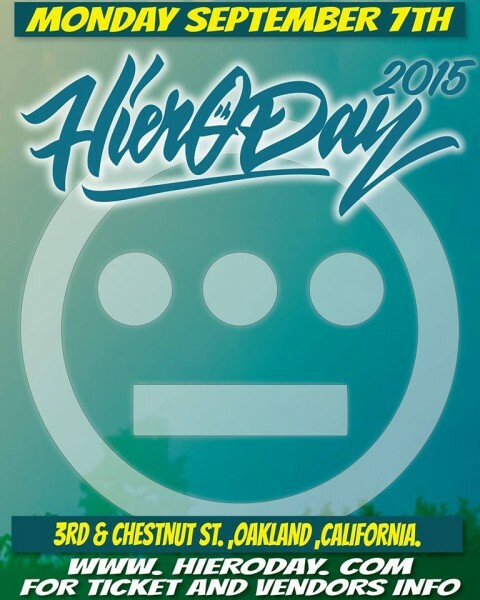 If your ticket number matches the Ticket Buy Back number you will leave Hiero Day 2015 $1000 dollars richer!! Still Can’t Afford A Ticket? 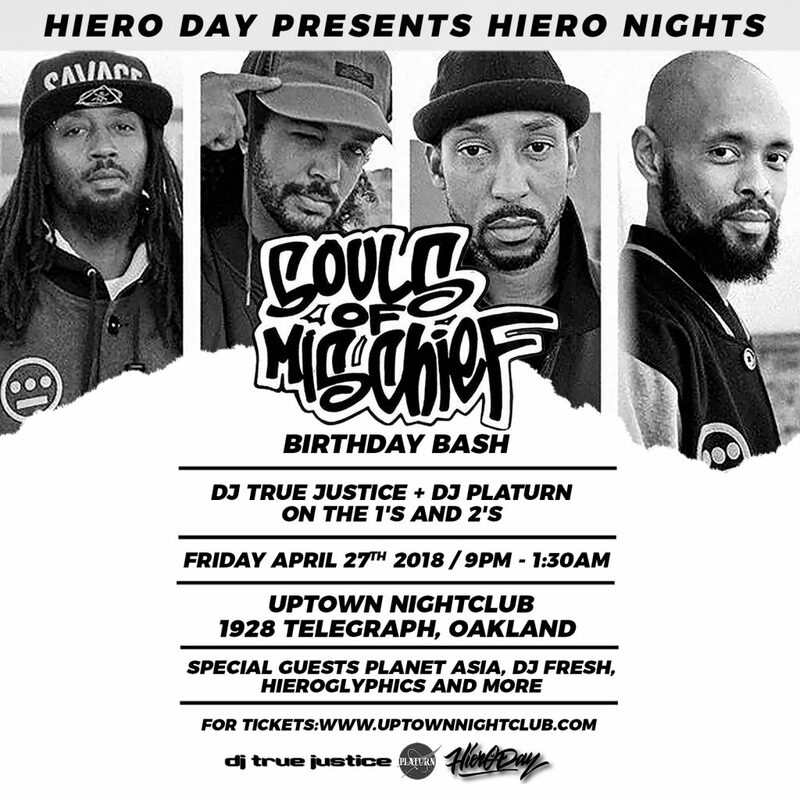 Hiero was really concerned about people who are active in the community, but still unable to afford the price of a ticket. 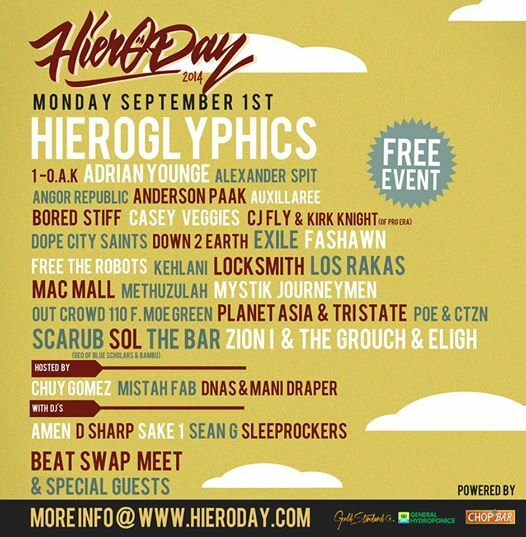 You can email a 250-500 word essay about what you do to improve you community to: icantpay20dollars@hieroday.com.